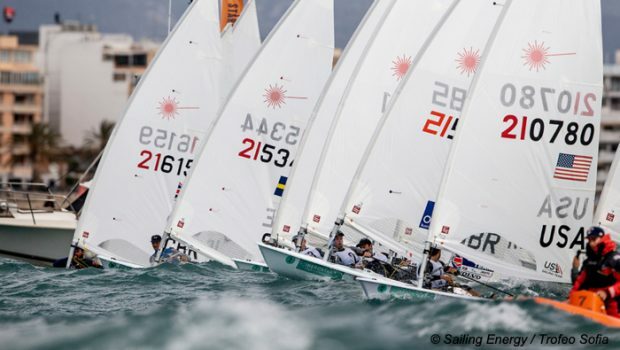 Majorca, Spain (April 6, 2019) – Olympic champions won in just two of the ten Olympic classes competing at Mallorca’s biggest ever Trofeo Princesa Sofia Iberostar that finished in a blast of strong winds today. The hugely popular annual event started in light winds early in the regatta, but saw Medal Races for the Nacra 17, FX and 49ers thwarted by strong winds and big seas. Although the forecast was for the 20-25kts breezes to ease in the afternoon, if anything they strengthened and only the Finn, Lasers and RS:X classes completed spectacular, muscular medal races. Passing one boat on the final leg of the medal showdown was enough to secure a first major regatta title in the Laser class for the USA’s Christopher Barnard. The sailor, from Newport Beach (CA), lead into the medal race which was won by GBR’s Eliot Hanson who finished runner up ahead of his two times World Champion compatriot Nick Thompson. “I’m extremely happy, relieved and emotionally exhausted,” said Barnard. “This is by far the biggest regatta I’ve won. I’ve been happy with the way I’ve sailed all week and today I showed a really good fight. That’s probably what I’m most proud of. If this Sofia Iberostar was Barnard’s maiden Olympic classes regatta win, Denmark’s Olympic bronze medalist Anne-Marie Rindom was back on very familiar territory and retained the Laser Radial title she won here last year. But the charismatic Dane admitted she has been under the weather, suffering from a stomach upset which has all but drained her energy. Even so she kept Holland’s Olympic champion Marit Bouwmeester four points astern. Erika Reineke (USA) won her first Olympic classes medal in Europe with bronze, her fellow American Paige Reilly finished 6th. Rindom commented, “Today was a crazy day! There was a lot of wind, having been sick it made it made it really hard because the power was not there. It means a lot to win here. I love sailing here in big waves and different conditions. Pedro Pasqual Suitt finished fourth in the medal race to secure a third overall in the RS:X class. New Zealand’s Finn sailor Andy Maloney had to finish within two places of GBR’s Olympic champion Giles Scott if he was to lift the Sofia Iberostar. As Scott sailed to win the medal race, Maloney took third, securing gold with his New Zealand teammate Josh Junior in third. Maloney continued, “It was really close going into the race today and I just wanted to stick close to him, and see if I could slow him down and put us at the back, and not enable him to get an opportunity to put that many boats between us. I started just up on his hip and managed to hold him out to the port layline. “And when he came at me I tried dialing down and got a penalty on him but unfortunately that got green flagged. We were coming in on the port layline and I was trying to slow him down a bit, but I made a bit of a meal of that and he managed to roll me and got himself back into the race. On top of that the wind went left on the beat, so we were still in the race after going quite slowly up the left side. When asked about winning, Maloney said, “It’s awesome. It’s been a really good week. Really consistent from Josh and myself, and to both be up there at the beginning of the season is really cool. We are looking forward to the rest of the season. Nacra 17 winner Waterhouse said, “This is the first stop for the European season, a real confidence-booster and we’re three wins in a row now so we’re pretty happy. We didn’t do anything special but we’re consistent each day. 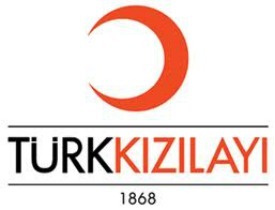 We never won the day but we had good days. The fleet is so competitive; everyone is so up there and just trying to stay in the top eight. As the overall trophy for this 50th anniversary edition went to China’s up and coming Yue Tan in a light RS:X Women’s fleet in which there were no medalists competing – it goes to the sailor with the lowest points average over their race series – Britain’s gold medal winning helm Hannah Mills and Eilidh McIntyre won today’s blustery medal race to secure the 470 Women title by 27 points. Brasil’s Olympic champions Martine Grael and Kahena Kunze prevailed in the FX. Racing for the ten Olympic events was scheduled from April 1 to 6. • 470 Men (10 races, Medal Race): 38th Stuart McNay/ David Hughes (USA). • 470 Women (10 races, Medal Race): 20th Nikole Barnes/ Lara Dallman-Weiss (USA). • 49erFX Women (15 races): 13th Paris Henken/ Anna Tobias (USA). 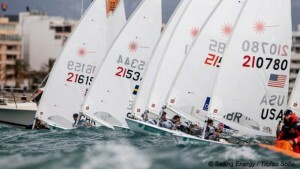 • Finn (10 races, Medal Race): 31st Caleb Paine (USA). • Laser Men (10 races, Medal Race): 1st Chris Barnard (USA), 5th Charlie Buckingham (USA). • Laser Radial Women (8 races, Medal Race): 3rd Erika Reineke (USA), 6th Paige Railey (USA). • Nacra 17 Mixed (15 races): 13th Riley Gibbs/ Anna Weis (USA). • RS:X Men (10 races, Medal Race): 3rd Pedro Pascual (USA). • RS:X Women (10 races, Medal Race): 12th Farah Hall (USA).